Adidas are set to release a series of new colourways for the Adidas Tunit football boots this summer to coincide with the start of the new season, and players buying new football boots. With so many different variations, options and colours available for the Tunit (which is by nature a customisable football boot) Footy Boots brings you a quick guide as to what new Tunits will be on offer on the web and in your local sports store this summer. As we reported earlier, the new Adidas Tunit F50.7 kicks off in July with the new black and white colourway, also to be made available in a leather upper option. Read more about the new Adidas Tunit F50.7 in black and white here. The much anticipated red Adidas Tunit F50.7 also makes an appearance in July, and is bound to be a football boot seen on the feet of many a professional in the new season, club colours permitting of course! The most exciting of the new Tunit releases for us will be the series of Tunit Champions League Winners football boots, made for an exclusive array of clubs that have been winners of the top European prize and are not sponsored by Nike. 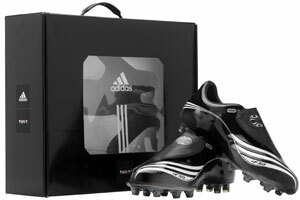 The Adidas Tunit upper will be released for Ajax, AC Milan, Barcelona, Liverpool and Real Madrid. 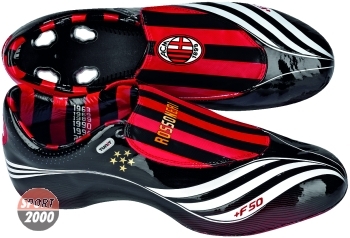 Gold stars on the side of the football boots will indicate the number of wins made by each club. Adidas had planned to produce a Chelsea version, but as Liverpool and Man Utd fans will be quick to point out, they are yet to join the group of Champions League Winners, so it is likely this version will be shelved until Chelsea manage to win the Champions League. If all these new football boots are not enough, Adidas are also bringing out new colourways to add to the range, including silver and yellow, as well as a lime green laceless due in August. Adidas throws down the gauntlet to Nike – this summer its Tunit vs Lasers! Absolutely love this idea, although adidas and nike should maybe team p, or give them the rights to create a boot for the likes of Man Utd along with other clubs that have won the cup, adidas would see the profits shoot through the roof if this were to happen, paying slight compensation to nike, joma, etc etc.., but a very good idea!!! Nike should follow that idea too. Barcelona isn’t getting those boots though and they are making Chelsea boots and I have pics of them. great looking football boots, even though i would prefer the preds. no just the clubs listed – manu sponsored by nike so unlikely they would agree to let them put logo on an adidas boot. shame really. 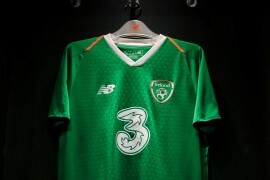 dont be a reterd..man u is part of nike…so adidas wont make any man u ones!! 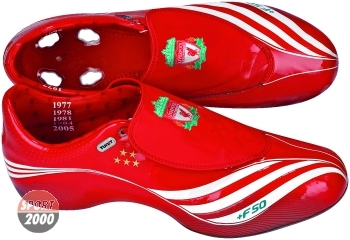 Do any of u know where the Adidas Tunit F50.7 Champions League Winners are made ? What country ? 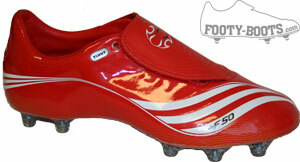 hey, can any body tell me where i can get a pair of + F50 tunit boots either indoors or footy boots. on the laceless green uppers can you tuck the tongue in? Thanks! are these available for the public to buy? if so where? please make them available for australia you would get a great market here please and how much are they? do the uppers from the f5.7 tunit fit the first tunits?? where can u find this schoes real madrid tunit? can show a adidas new adizero shoes? how much does the real madrid shoes cost?